More than 80% of Americans between the ages of 11 and 24 experience some of form of acne. For some the acne begins at puberty and ends shortly after. While for others this becomes a lifelong struggle that persists for many years. If your acne has persisted for longer than 2 years, then the odds are you are suffering from chronic acne as opposed to acute acne. Acute acne is the infrequent acne that shows up occasionally as a result of environmental factors, diet, or a brief hormonal surge. These surface symptoms can be easily treated with masks, streamers, etc. Though, acute acne and chronic acne may be caused by different factors, the way they form is the same in both cases. What causes the surface symptoms of acne? There are different forms of acne, but before we discuss that, let us first understand how these bumps, whiteheads and pimples are formed. Pimple, whiteheads or any other surface symptom is seen when there is a buildup of bacteria under the skin. There are a number of reasons this may occur, but the no. 1 cause for most people suffering from chronic acne is an over secretion of sebum. The sebaceous glands are responsible for the secretion of sebum which is an oily substance produced by the body to moisturize the hair and skin. Excess production of the androgen hormone over stimulates the sebaceous gland leading to the excessive production of sebum. This then combines with dead skin to clog the pores leading to the perfect breeding ground for bacteria. The main bacteria responsible for the infection and the formation of pimples are known as Propionibacterium acnes. This bacteria lives on the skin, though there is at least one strain that prevents the formation of acne, most of the strains that can be found on the skin cause acne and not its prevention. While in the case of acute acne, it may be as a result of a dirty pillow, greasy hair rubbing the facial skin, shoulders, and chest, or the use of makeup containing petrolatum or other chemicals. These factors contribute to the clogging of pores and may result in the formation of pimples. Most people in this group would notice a period when their acne goes away (after laundry day) and moments when their acne comes back in full force (a few weeks after laundry day). Keeping your pillows, sheets, and hair clean is an extremely important factor for those suffering from acute and chronic acne. In the case of chronic acne, adding external factors would only exacerbate this skin condition. The formation of these pimples, blackheads, etc., mostly center on the skin around the chest, back, face and in some cases on the buttocks. Though the appearance of acne may differ in some cases, there are all as a result of a buildup of bacteria under the skin. Below is a list of the types of acne commonly seen. Blackheads: Here, the pores are open, and the dark or dirty coloration that appears on the surface of the skin is due to the reaction of the mixture’s (dead skin, sebum and P. acnes) exposure to air. Whitehead: Here the pores are closed and it remains under the skin. Like blackheads, they are usually small. Papules: These appear as small red bumps. This is as a result of the inflammation caused by the P. acnes. Pustules: These also appear as small red bumps, but this time there is a buildup of pus at the tip3. Nodules: These are in-bedded a little deeper in the skin and are large, hard and painful. Cysts: These are painful lumps that can be seen under the skin and contain large amounts of pus as when compared to the other types of acne. This type of acne causes more acne scarring than the other types of acne. What do you do after you have confirmed you suffer from chronic acne? Works naturally with your body to reduce the production of the androgen hormone. How long will it take for your acne to clear up? Depending on the severity of your acne and hormonal imbalance, it may take anywhere from a few weeks to a couple of months for your acne to clear up. 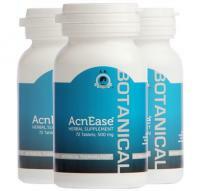 Remember, Acnease works to naturally reduce the production of androgen in the body for a more natural and sustainable result. It will most likely take a little longer than those topical creams because it is not fixing the symptoms, but the underlining condition responsible for this skin disease. 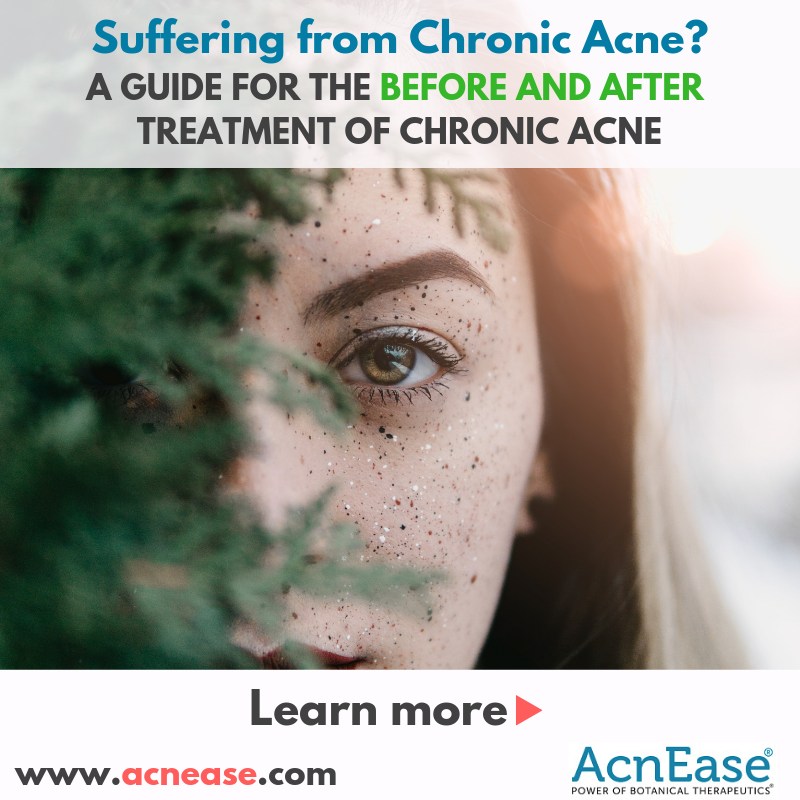 Hence, it is important for you to exercise patience when you taking Acnease and realize this is a long-term solution to permanently treating acne. While you are waiting for your acne to clear up, they are still products available for both men and women to hide/reduce the appearance of acne on their faces. The type of makeup or concealers you use is extremely important as the wrong makeup would exacerbate/further irritate your skin. The use of non-comedogenic foundations and concealers for acne prone skin is highly recommended as you do not want to add an external factor to the internal issues already taking place. The foundations and concealers are light, creamy and airy. They allow the skin to breathe and were created for people with sensitive skin types. Don’t just take my word for it, listen to people who have actually suffered from chronic acne all their lives and finally found a long-term solution that works in Acnease. Maria is one such blogger who life was changed by the inclusion of this pill in her daily regimen. 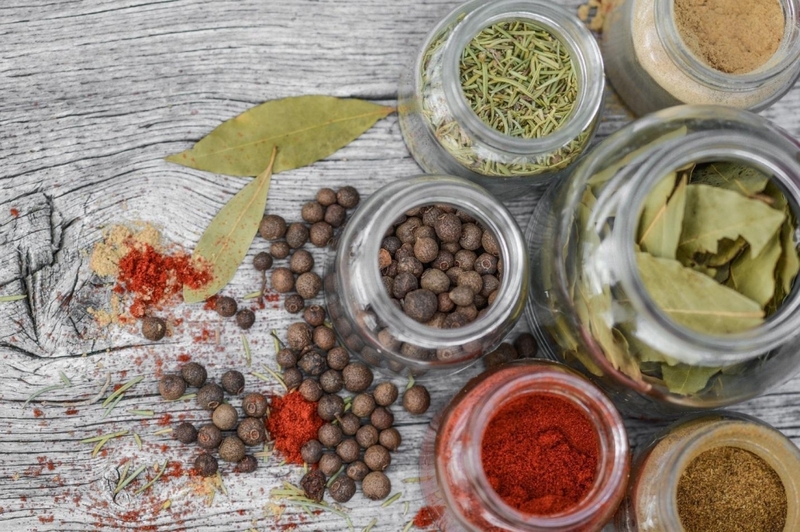 She once had large red and inflamed acne on her face, however, she stuck with the required dosage and after a few months, her skin was completely cleared of all acne. 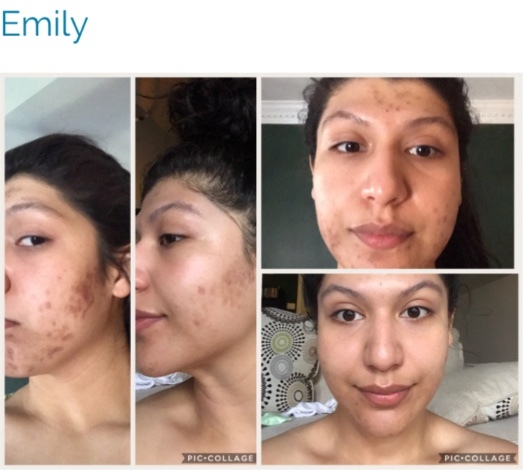 Another client with remarkable results is Emily Escalante, after trying just one bottle, her acne was shown to be almost completely cleared. The time is taken for different people vary, some people may require only a few weeks while others may need a few months of treatments depending on the severity of the underlining issue. Click here to read more “real users” reviews. What can you do to help remove/reduce preexisting acne scars? This is the final step to achieving that flawless creamy skin. After you have dealt with the underlining conditions and treated all the symptoms of acne, you then realize you have extensive acne scarring from years of living with the skin condition. This is where Rejuvel comes in. Rejuvel is plant-based and contains antigravity technology that helps to get rid of acne scars and marks. It does this by stimulating the production of collagen and increasing the generation of new skin cells. It also hydrates your skin and is non-comedogenic which is important because you do not want to clog up your skin pores. 100% of people who use this product have reported having softer and smoother skin. Moreover, more than 84% of these people have reported that they have noticed a reduction of acne scars. From the first stage to the last, we have covered every basis for those suffering from chronic acne. The foundations and concealers for acne-prone skin to reduce/hide the appearance of acne, Acnease to treat the underlining issue and final Rejuvel to help rid your skin of acne marks and scars. Every step has been considered and at each of these steps, a natural, non-toxic option has been provided.